Coleg Sir Gar New Designers Success. The BA Ceramics and Textiles students have just come back from London after receiving lots of positive response about the work, sales and offers of exhibitions. It was a great week meeting new contacts and old friends. It was fantastic to be part of such a vast creative event. 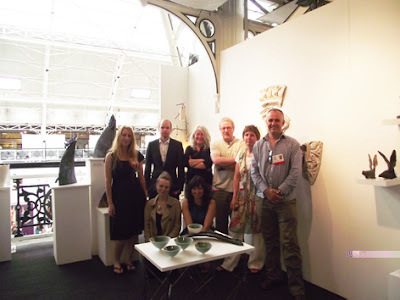 If you have not been to New Designers, try and make it next year as it is an inspiring showcase of British talent.